When clients have gardens, sometimes I’m lucky enough to take home some of their harvest. 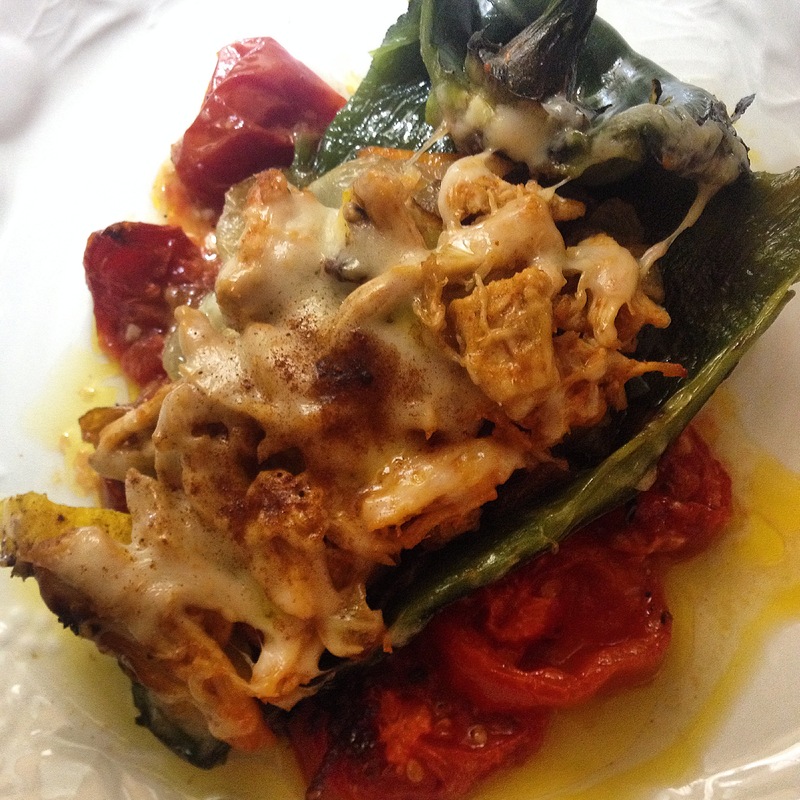 A client gave me some poblano peppers which I brought home and stuffed with sriracha pulled chicken, cinnamon and clove spiced acorn squash (fall is coming! ), carmelized onion, and aged cheddar, and served with roasted grape tomatoes and olive oil on the side. So good!